On July 5, the Windsor-Detroit Bridge Authority, a Canadian nonprofit corporation, chose Bridging North America to be the “preferred proponent” in charge of the public-private partnership to design, build, finance, operate and maintain the future bridge linking Detroit, Michigan, and Windsor, Canada. Construction is scheduled to begin this year on the 1.5-mile-long, six-lane bridge over the Detroit River. The bridge’s main span will extend 2,798 feet and will have no piers beneath it, making it the longest such span on the continent, according to the authority. Overall, the bridge will be the fifth longest in North America. Cost estimates for the bridge have been $2 billion to $3 billion-plus. Construction is expected to take several years. Early work construction on the bridge is scheduled to begin this month, the authority says. The authority and Bridging North America will work out financial details through September after which a project agreement will be signed and major construction will begin, according to the authority. The bridge has been hailed on both sides of the river as an economic and trade boon for the U.S. and Canada. 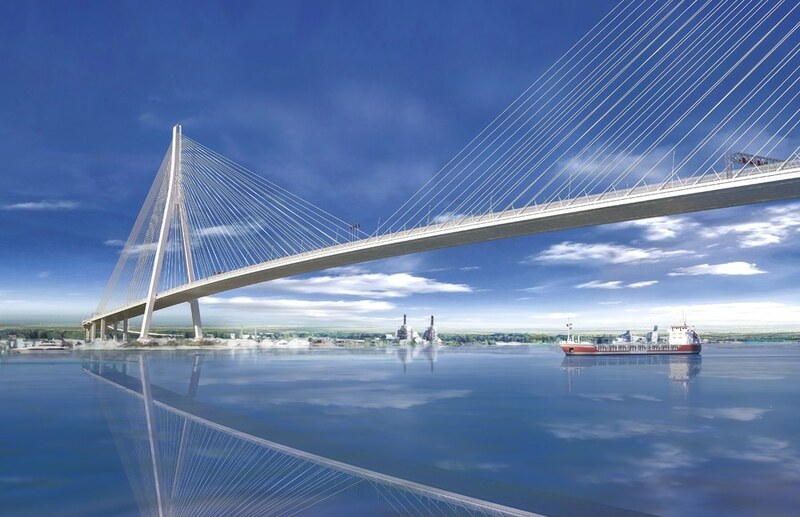 “The selection of Bridging North America as the preferred proponent is another step forward towards the start of construction of the Gordie Howe International Bridge – the largest infrastructure project along the Canada-U.S. border and one which will stimulate the economies in Canada and the United States,” said Dwight Duncan, chairman of the authority’s board of directors. But not all are cheering the announcement. The Moroun family, which owns the 87-year-old Ambassador Bridge between Detroit and Windsor, has sued unsuccessfully to try to stop the Howe bridge project and has recently aired television commercials calling on President Trump to intervene. The head of the family is U.S. billionaire Manuel Maroun who wants to build a new bridge that would replace the Ambassador Bridge and for Trump to revoke Canada’s license granted by President Obama in 2013 to build the Howe bridge. Canada has granted the Marouns permission to build a new bridge, on the condition that they demolish the Ambassador Bridge. 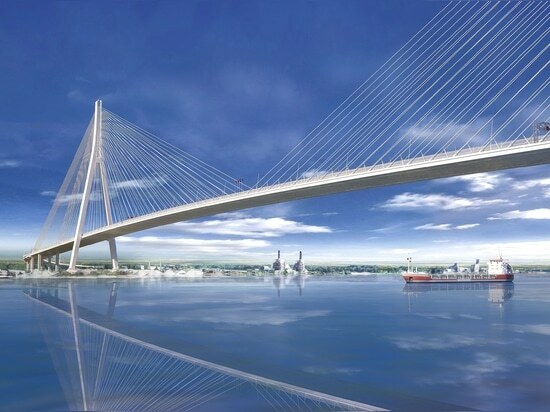 For now, though, the Howe bridge is moving forward. About $350 million has been spent on purchasing land on the U.S. and Canadian sides and preparing to build ports of entry on both sides of the river. The bridge is named for hockey great Gordie Howe who was born in Saskatchewan, Canada, and played for the Detroit Red Wings.